A machine gun team is comprised of three members that all fill vital roles. If anyone of them doesn’t pull their weight…well that’s not good. 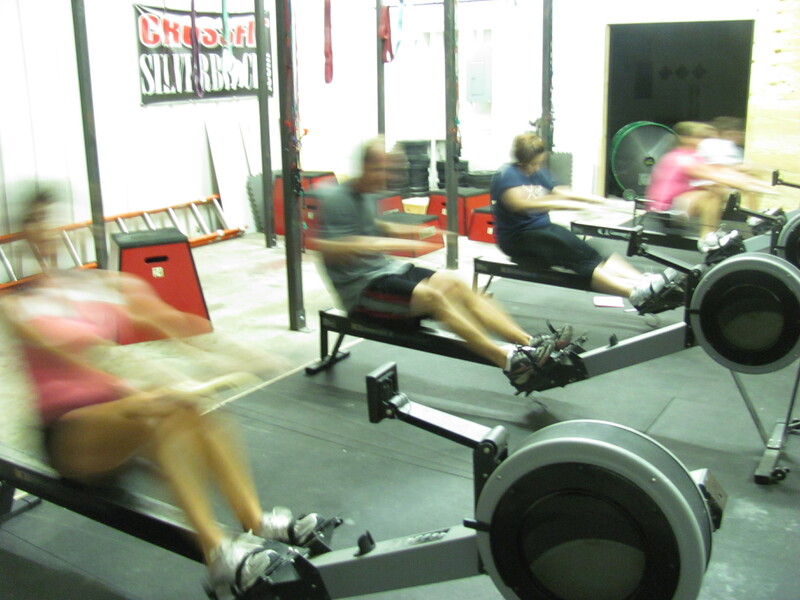 Athletes devided into teams of 3, 1 at each station and switch when the row is complete. Scored by subtracting 1 sec for every repetition completed. Marianne unfortunately does push ups on that one mat covered with velcro. Marianne makes a full recovery as she and Laura swing for the fences. "What do you mean your done?" 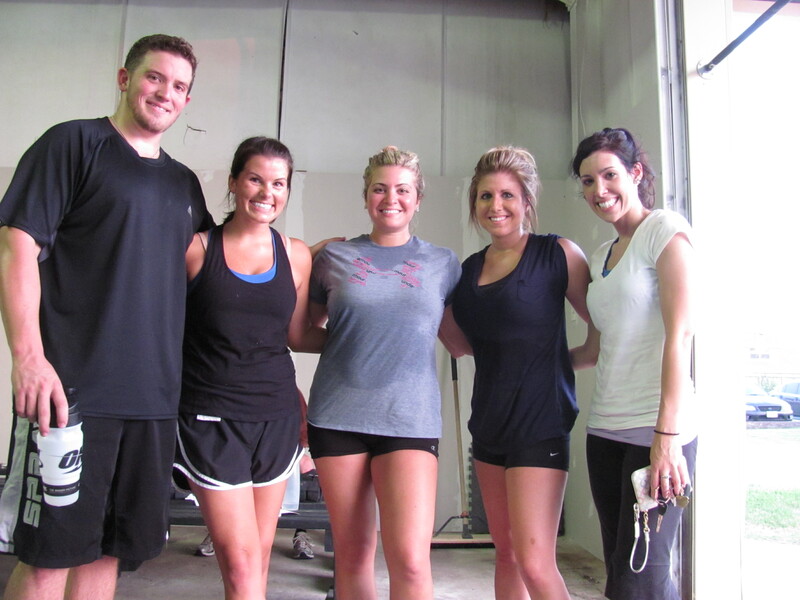 I am always amazed when athletes invite friends and they remain friends after the WOD. Very Silverback. 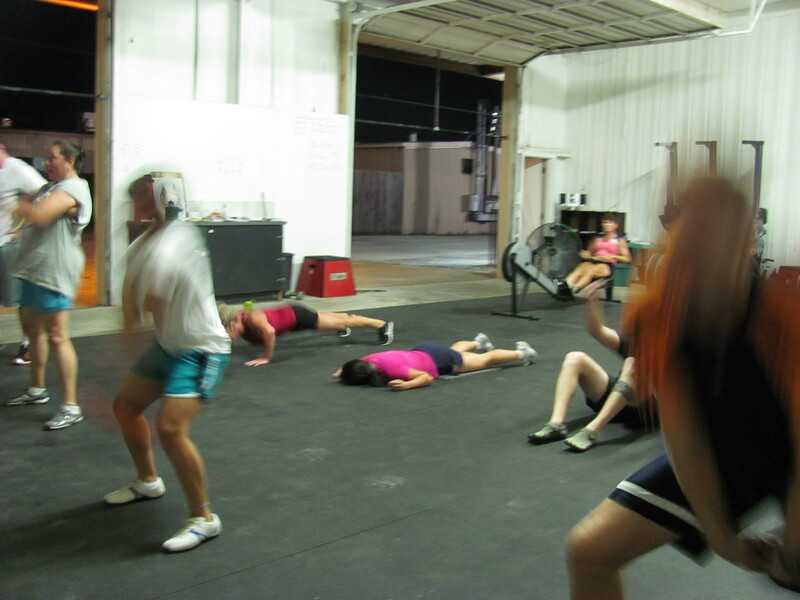 I think crossfit might be easier than going to Disney World. Day two and I’m done. Legs hurt. Feet are sore. And kids, well they are sweet little kids. On the board this morning, this WOD did not look too bad but reality is a much differant story. I am glad I did this at 5am at 78F instead of close to 100 F. Teamed up with Linda and Steve and I think our time was 13:3?. Not sure what my team time before the math equation. my reps were 241 for pushups/kettlebell swings. 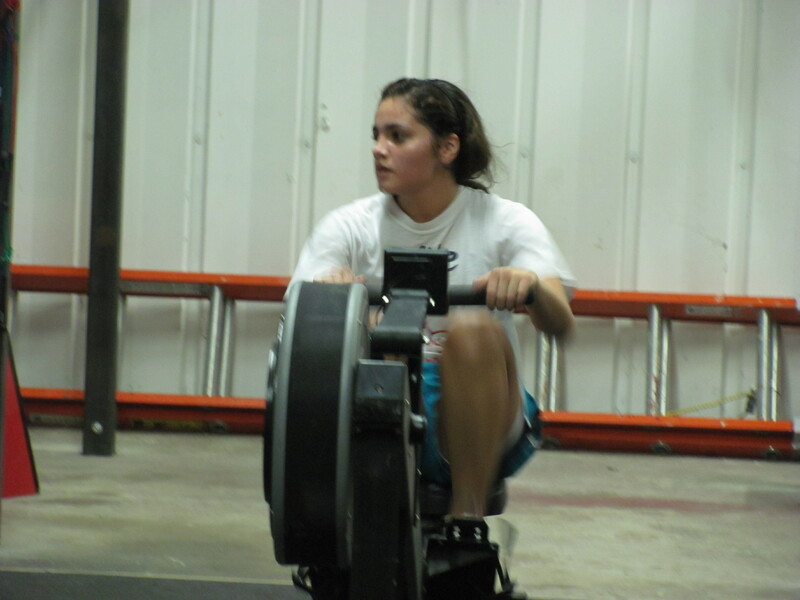 The rower killed me once again. Thanks for the push at the end Garrett. I was ready to give up, plain and simple. Ladies you did great. I think Val said our team time after math problem was 13:4x. Push press: 135, 155, 165. probably should have gone just a touch heavier because I didn’t get to the point of failure. Was on Lauras team. 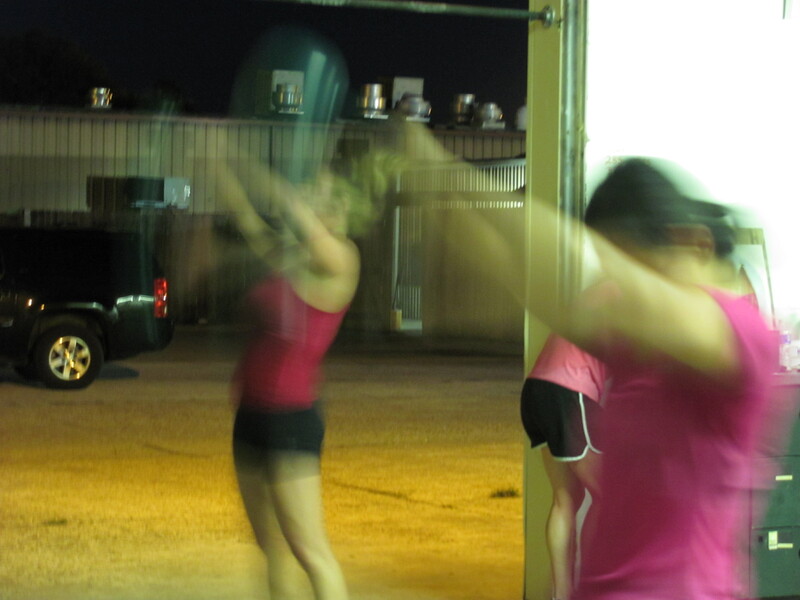 Total time was 21:27 with 663 reps which took 11:03 off and gave us 10:24. Great job Laura and LeeAnn (sp). LeeAnn had the most reps on our team BTW.